Site migrations are risky for natural search performance. 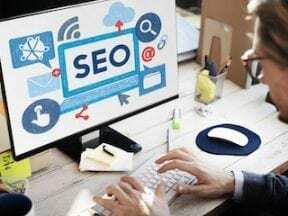 Even a well-executed migration can decrease sessions and revenue if the search engine optimization aspects aren’t handled carefully. Whether you’re migrating a site to a new design or rebranding — or even migrating multiple sites onto a single unified domain — what you do before the new site is live will determine its natural search performance. … what you do before the new site is live will determine its natural search performance. The first step is knowing which pages make up your migration’s critical focus set. Web analytics — Google Analytics, Adobe Analytics, others — will tell you the pages to focus on. I use the 90/10 rule: The pages that drive 90 percent of your site’s organic search traffic should be your focus. The remaining 10 percent will represent a dwindling amount of performance per page. If you included that last 10 percent as well, you could have an unmanageable number of pages to deal with that in aggregate make up a much smaller portion of your site’s performance. Next, do the same 90/10 exercise with your backlink portfolio. Use Google Search Console, Majestic, Ahrefs, or a similar tool to identify which URLs on your site have collected the largest quality and quantity of links from other sites. Those pages are the most valuable in terms of preserving your link authority. Now that you have your set of critical pages, start the work of ensuring that your performance will remain as consistent as possible. You’ll do that in three ways. Contextual relevance. The content on your individual pages today is what has generated their rankings. In moving to a new design, brand, or site, make sure to retain the aspects of that content (and, optimally, the way it’s coded) so that you can continue to rank for those same phrases. Link authority. The links coming into your site are responsible for giving it the authority to rank. Keep the power of those links focused on live, relevant content with 301 redirects, which preserve the ability to rank. Conversion elements. Keep on-site conversion elements in the same areas as they were before to turn visitors into customers. I’m not suggesting to keep your site entirely the same for the sake of SEO. But remember that the current site’s content, authority, and conversion elements are what drive traffic. Take care to preserve them as they are or to make them better if revenue from natural search is a priority for your business. The more they change without improvements, the more traffic will drain away over time. The single most important aspect of a site migration is a 301 redirect strategy. These 301 redirects enable you to harvest the link authority from your prior site and pour it back into the relevant pages on your new site. It’s important that each 301 redirect points to a relevant page, as opposed to redirecting all old URLs to the home page of the new site, for example. When the new site launches, keep the old site available — perhaps on a subdomain with a robots.txt disallow to block it from being indexed by search engines. This will enable you to refer back to check how things were done previously or to grab pieces of content. Monitor the new site carefully. Track changes in traffic to ascertain normal traffic patterns versus improvements — or problems that require attention. Expect performance to be erratic for the first several weeks or months, depending on the changes. The steps above are still necessary for rebranding sites and combining multiple ones. The only difference is that migrations from rebrands and site combinations will likely use a new domain. Make sure to verify in Google Search Console when you launch your new domain. Also, submit a URL change on your old site’s Google Search Console to point to the new domain. Do this in Google Search Console for every subdomain and protocol (HTTP and HTTPS) that you have registered for your old site. If rebranding, use your backlink data or an influencer outreach tool such as Pitchbox to find the sites that are linking with your (old) brand name. Reach out to ask them to change to the new name. It will likely take multiple communications to get them to make the change. But it’s worth the effort to have the link authority coming to your site with the most relevant contextual signals possible.